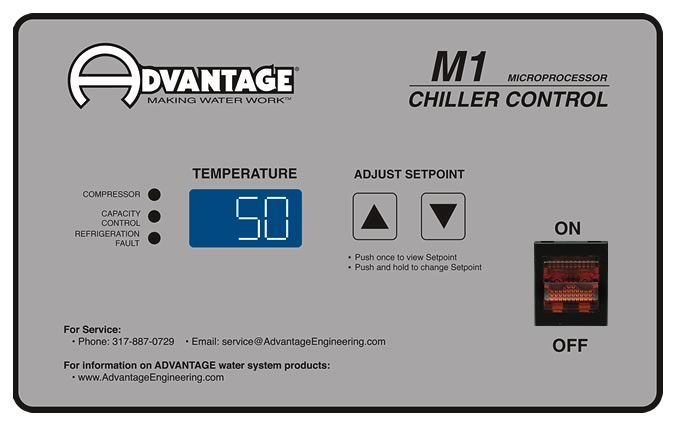 M1 Series of portable water chillers are refrigeration systems used to cool fluids in support of industrial process cooling applications. Water chillers include an internal pumping system and reservoir. The chilling unit is placed inside the production facility while the remote air-cooled condenser is placed outside the production facility. Refrigerant piping is installed from the chilling unit to the remote air-cooled condenser. The process water lines are installed inside the facility. 3. Full load amps are higher than run load amps and must be used for sizing disconnects and supply wiring. 4. Approximate unit weight crated for shipment. 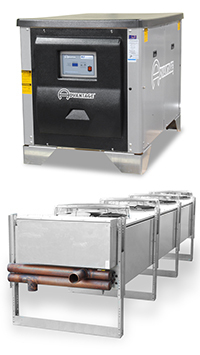 Air-cooled units shipped in two units. Basic field assembly required for Air-cooled units. Condenser shipped separately and requires field installation.